In a moment of inspiration a while back one of our partners got this picture in his head consisting of colorful coalesced trapezoids and triangles. 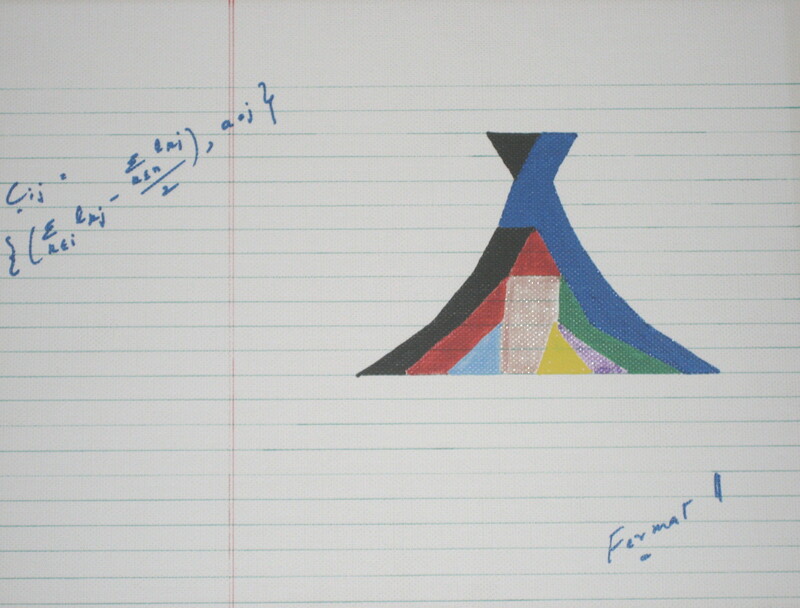 This initially lead to a little whimsical artwork (inspired by the famous mathematician Fermat), a copy of which is attached. This idea which was set aside for a while began to occupy our thoughts and we decided to do something with it –we applied and obtained a patent for it. Find out what this artwork is about in the Tepee and Examples pages. For an entertaining and informative account of Fermat’s Last Theorem look at Simon Singh’s website.